On Tuesday, 80-year-old Wanda Witter checked her bank account to find that a deposit of $99,999 had been made from the federal government. After over a decade of struggling with the Social Security Administration, and being called crazy, she finally got what was hers. Ms. Witter moved to Washington, DC in 1999 after losing her job as a machinist in New York. She had earned a paralegal certificate but still could not find a job despite living in a city full of lawyers. In 2006 she finally decided to start drawing her Social Security checks, but it became apparent that something was not right. The checks ranged from $300 to $900 per month; when she called Social Security to ask about the discrepancies, no one could give her a clear answer. Not wanting to cash checks that were not right, Ms. Witter wrote “VOID” on the payments and sent them back. Eventually, when she no longer had a reliable way to receive mail, they stopped coming at all. Ms. Witter stayed in homeless shelters or on the street for the next ten years. It’s no secret that the Social Security Administration is understaffed. The Center on Budget and Policy Priorities said in a report that the administration’s budget has shrunk by 10 percent since 2010, while aging baby boomers have swollen its workload. Last year the administration received 37 million phone calls for help and 41 million office visits. The average appointment wait time was three weeks, while more than a million cases for disability payments were backlogged, according to the report. Ms. Witter called Social Security’s toll-free number, sent letters, and tried to get someone to listen to her predicament. But most folks dismissed her as crazy as she roamed the nation’s capital with a hand-truck loaded down with three suitcases packed full of Social Security paperwork. Most counselors believed that mental illness, rather than messed up Social Security payments, were her problem. Finally, in 2015, she found someone who believed her. A social worker in Washington, DC went through Ms. Witter’s Social Security paperwork and discovered that her payments were in fact not accurate. Ms. Witter then met with an attorney from the Legal Counsel for the Elderly who soon realized that Ms. Witter was indeed owed a large sum of money. In June, an official with the Social Security Administration acknowledged the validity and severity of her case and wrote her a check on the spot for $999, the maximum amount allowed without further authorization. Ms. Witter bought herself a good meal and some clothes. Earlier this week she received a further $99,999, the most that Social Security can make as a lump sum without an extended approval process. Her lawyer states that more is coming. While Ms. Witter may be a special case, many Americans struggle with the Social Security Administration for years before receiving the money they are entitled to. Don’t wait longer for your benefits than you need to – if you are considering filing for Social Security benefits, call us to see if we can help! On August 11 and 12, 2016, members of Premier Disability’s Legal Department attended the Eighth Circuit Social Security Disability Conference in downtown Minneapolis. On behalf of Premier, I would like to thank our hosts with the Minnesota CLE in addition to the members of the National Organization of Social Security Claimants’ Representatives (NOSSCR) who spoke at the conference. I would further like to extend our gratitude to all of the speakers who put on fantastic presentations. Some of the individual presentations will be touched on in later articles. For the purpose of this article, I would like to address some of the updates we learned during Judge Richard Thrasher’s presentation. Judge Thrasher is the Chief Administrative Law Judge in the Minneapolis hearing office. Judge Thrasher provided some candid data regarding the current status of one of our most difficult issues to discuss with clients; i.e. wait times at the hearing level. According to Judge Thrasher, there is a very real understaffing issue in many hearing offices nationwide. Many hearing offices are losing Judges faster than they can replace them. In addition to this, the Social Security Administration has gone away from a production based structure where Judges had to disposition a set number of cases. Instead, SSA has gone toward a quality based structure where Judges are given a limited number of cases per year to decide. Obviously, this model combined with understaffing has created some backlog issues. Namely, the hearing wait time on a national level has ballooned to an average of 536 days from the hearing request to the hearing date. Another update that Judge Thrasher provided relating to delays in the hearing process was related to the backlog of decisions waiting to be written. When an Administrative Law Judge makes a formal decision on a case, the decision is sent to “Decision Writing” where a Decision Writer will draft the Judge’s formal opinion. Due to understaffing with Decision Writers, the number of cases decided on that need to be written is approximately 30,000. In other words, the Judge makes a decision, places the decision in writing status, and it sits there waiting. Judge Thrasher did state that the Minneapolis ODAR is taking action to try and lower the hearing backlog. Specifically, he would like to see his hearing office increase to 14 Judges in the future. Unfortunately, it remains to be seen how other hearing offices will work down this significant backlog. Carolyn Colvin, Acting Commissioner of Social Security, recently posted a blog on the agency’s website regarding a major milestone for the disability insurance program. Specifically, this year marked the 60th anniversary of Social Security Disability Insurance (SSDI). In 1956, an amendment to the Social Security Act created disability insurance as part of Social Security. Over the past 60 years, the disability insurance aspect of the Social Security Act has provided necessary benefits to disabled workers who need an income until they can either return to work or they ultimately reach retirement age. The Social Security Disability program has come under fire in recent years. From reports that the disability trust fund is drying up to the myth that Social Security fraud is rampant, the disability insurance program is not always painted in the best light. However, as a firm that works with countless disabled workers on a daily basis, we certainly see the good this program has done for Disabled Americans. According to SSA’s website, there are about 9 million disabled workers and two million of their dependents receiving disability benefits from SSA. For many of these beneficiaries, this is the only income they receive or it accounts for a substantial portion of their income. Without this program, many of these people would not have a means to support themselves or their families. 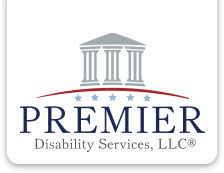 At Premier Disability Services, we take pride in joining the Social Security Administration in celebrating 60 years of the disability insurance program and we look forward to working with the agency in the years to come.